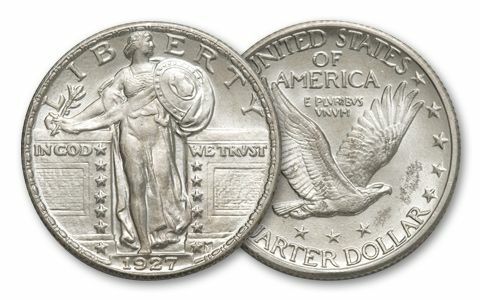 Standing Liberty Quarters were minted between 1917 and 1930. 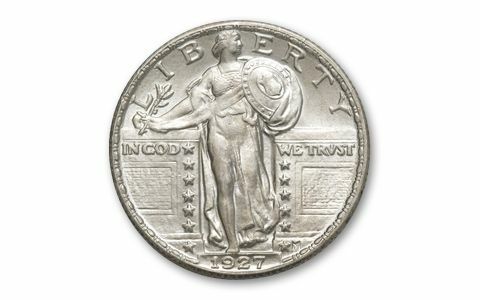 For classic beauty, the Standing Liberty Quarter rivals any in U.S. history. There was just one small problem-the date was so high up on the coin that it wore away quickly. The quarters circulated heavily through World War I, the Roaring Twenties and the Great Depression. 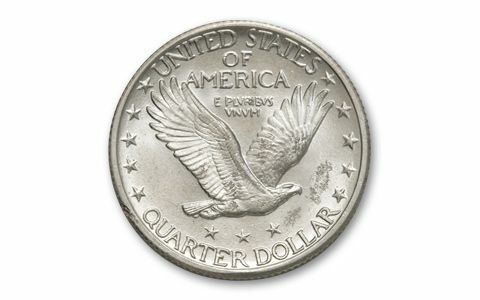 Today, Standing Liberty Quarters in Brilliant Uncirculated (BU) condition are difficult to find. Here's your chance to get these classic beauties in this high grade. Dates vary.